I love sand tables, water tables, sensory tables. Basically I love anything that adds interest to the classroom. When the children’s hands and minds are engaged in a sensory task, I believe they learn so much more; and have lots of fun at the same time. I also believe that children learn best when they are interested in the subject matter. 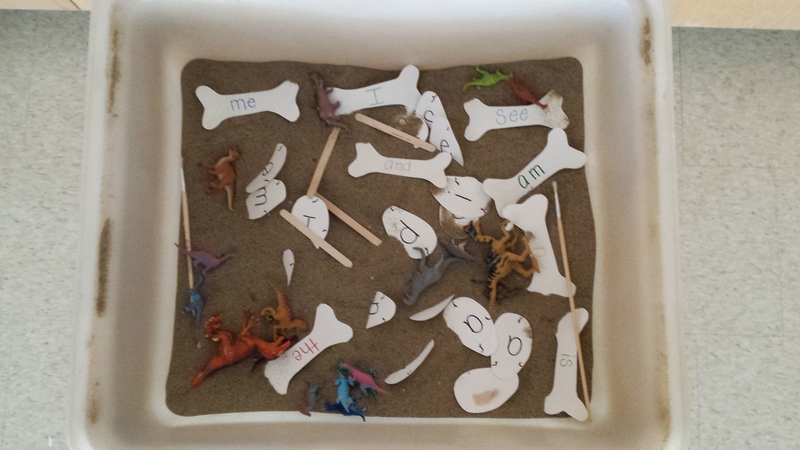 I was noticing how much some of the boys enjoyed playing with the dinosaurs during free play (we call it ICE time) and decided to turn our sand table into an excavation site, and turn the children into paleontologists! This was one of my more successful sand table themes, and was a busy place throughout the day. 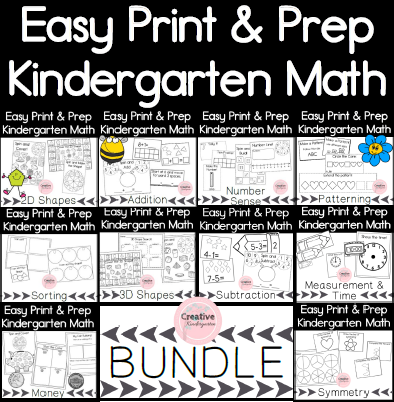 It was simple to put together, and I only used things that I had in the classroom (extra bonus!). On each of the bones write a sight word, then use one egg for each letter to make up the sight words (so THE will need 3 eggs, one for each letter). 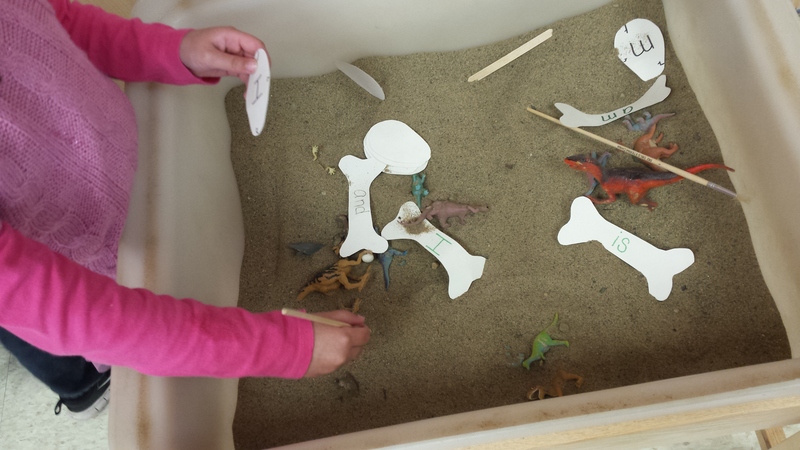 They will use the popsicle sticks to dig through the sand and the paintbrushes to brush the sand off the dinosaurs, bones and eggs in the bin. 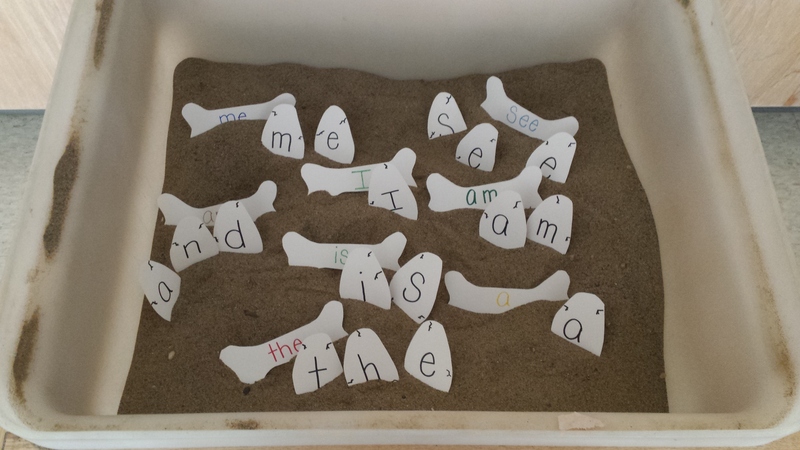 This was a great way to help the kindies learn their sight words, and it didn’t involve them sitting at a table with a pen and paper! LOVE! Previous postA new blogging journey!